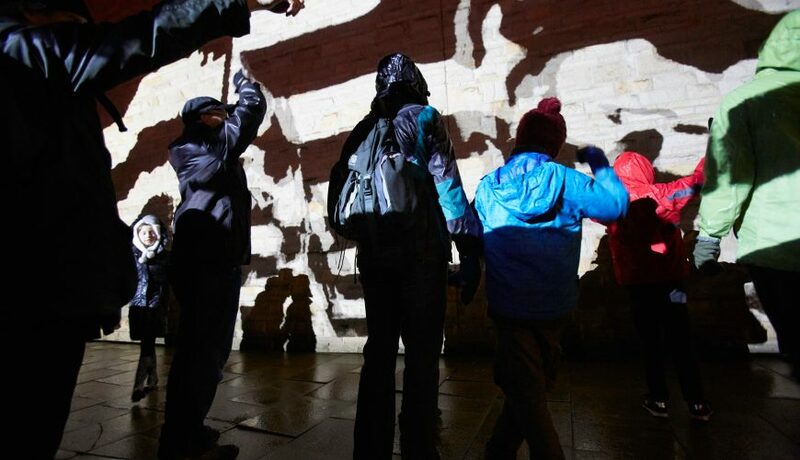 A huge interactive projection, never seen before at this scale or outside a gallery setting. At first glance Change Your Stripes looked like a giant abstract painting. 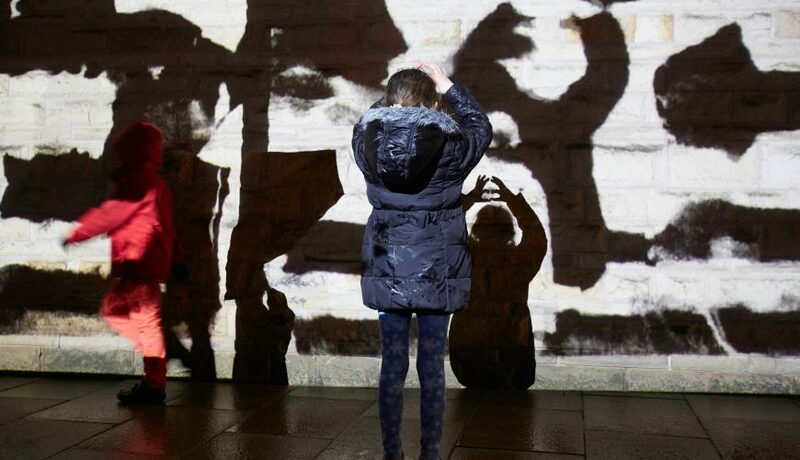 But this interactive piece needs an audience to come to life. The black and white stripes rippled and distorted as audiences moved, offering a rare chance to dance with your own shadow. Irish born but now living in Paris, Anne Cleary and Dennis Connolly use innovative new technologies to produce their work. They like to use the term ‘observer participation’ when describing their work as they are interested in developing the active role everyone can play in art. In 2009, they were awarded the AIB prize, which identifies emerging Irish visual artists, and in the same year they were the first, and so far only, Irish artists to have a solo exhibition at the Pompidou Centre in Paris. 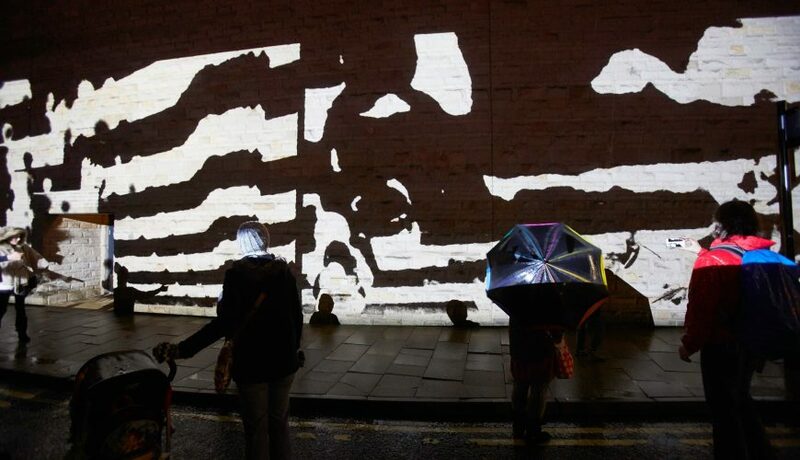 Originally designed for the Pompidou Centre, Paris in 2008, Change Your Stripes has since delighted audiences in Yokohama, Sao Paolo, Lumiere Derry~Londonderry 2013 and in 2015 Change Your Stripes returned as part of the Lumiere Durham programme. 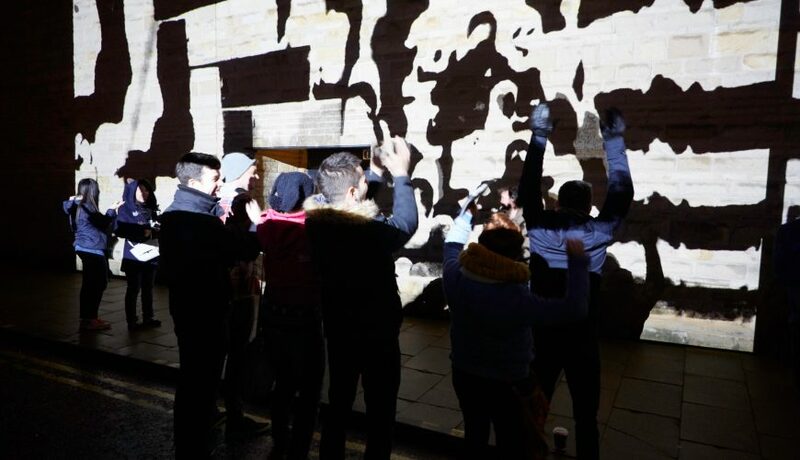 Cleary Connolly’s installation Joining the Dots was part of Lumiere London 2016. 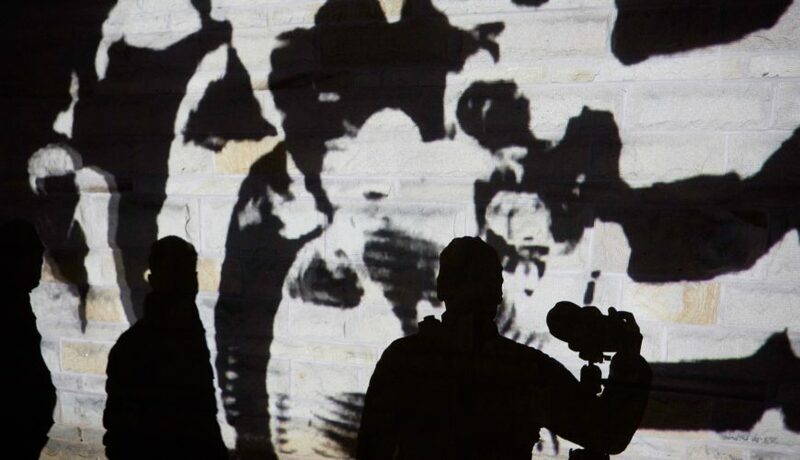 This piece is composed of undulating series of black and white stripes….until you step into the projection, when lo and behold, the stripes come to life. Silhouettes are captured and repeated in a cascading never ending stream, dancing and sparring with other silhouettes, and reminding us that we can all be part of the art.